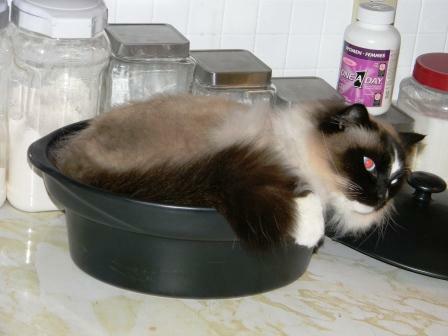 Ragdoll Kitchen is named for the cats that are usually to be found within it. This is Sasha. Obviously not a Ragdoll, he is the “godfather” to the other 4 cats. 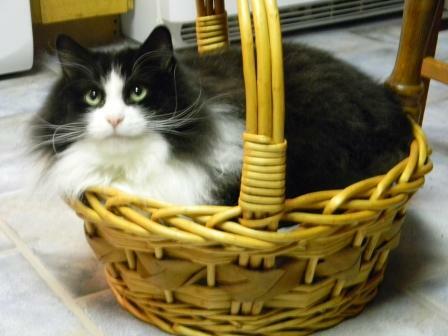 Katiya, most often called “Cuddles”, is the only girl in the cat clan. A Seal Lynx Ragdoll. 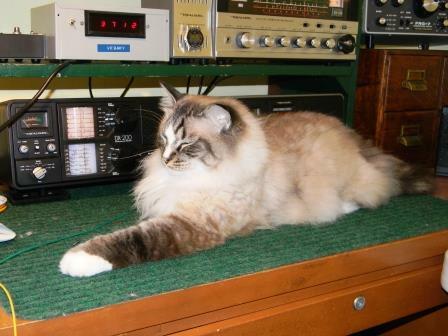 Mischa, the daddy to the other Ragdolls. 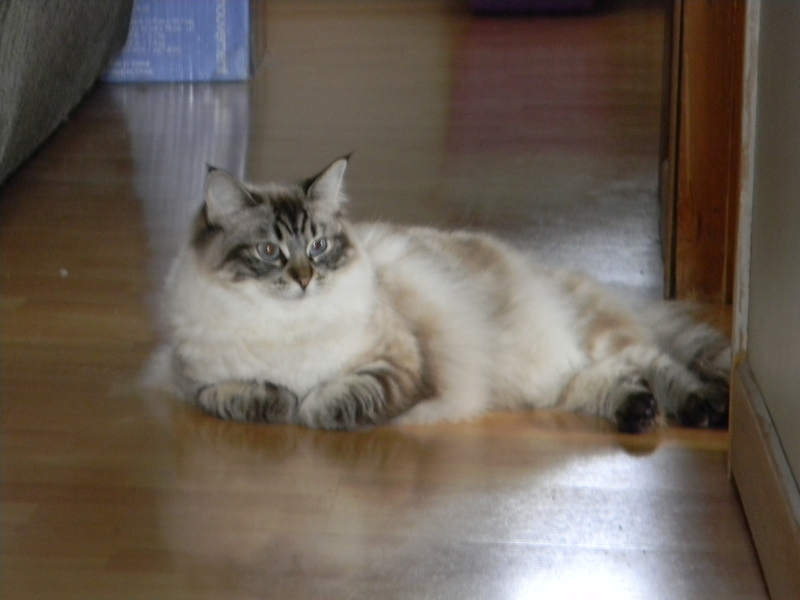 A Seal Point Mitted Ragdoll. Sometimes cats can be found in strange places. Baby Bear. 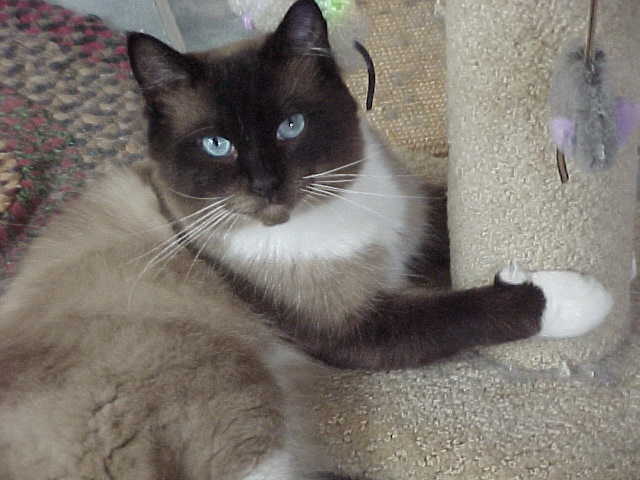 A Seal Point Mitted Ragdoll with blaze. Xander, often called Bozo and Puddin’ Head. This picture shows his favorite attitude. That of “Mr. Important”. He’s a Seal Lynx Mitted Ragdoll with blaze.